Truth by Kbaig: Consistency and Steadfastness of Our Political Rulers!!! Consistency and Steadfastness of Our Political Rulers!!! 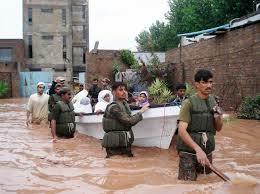 Is Pakistan first time facing the destruction of floods or Pakistani nation is first time going through this tragedy? Every year our bureaucrats give fake hopes to the nation that they have prepared to control the destruction by flood water and keep flood water within the limits of the river. Every year media and newspapers report the poor situation being faced by the public every year. If one looks at the record of the newspaper for past decades it becomes clear that just like the claims of saving public from hoarders and black-marketers in the month of Ramadan the claims of having prepared the plan to save the public from destruction of flood waters are similar. Neither the areas nor the effected villages by the flood are new, the only change is that children have grown up and young have become old or died or the faces of the bureaucrats change. However, our rulers (politicians) have been visiting flood affected areas consistently since the beginning of Pakistan, same political parties, same elected politicians and same public. Public cannot go anywhere leaving their houses and agricultural lands and cannot take preventive measures as well. Their cattle and crops are swept away by the flood water and houses are destroyed as well. After this the corruption in the name of the aid to the flood affected people starts. Whether this is the aid by the govt., friendly countries, or from within the country there is a huge difference between what is collected and what actually reaches the affected public. Where the rest of the aid goods or funds go neither I need to write nor to say because everyone is well aware of the corrupt elements. World is about to land on Mars after moon but we are still repeating the drama of floods after every monsoon season resulting in the deaths of the innocent people. Since 2010, the blue eyed child of our elected politicians has started causing destruction to Pakistan by its water bomb. Our politicians have never felt any need to protest against Indian aggression. In 2010, when India first time used water as a weapon against Pakistan it was being expected that our politicians enjoying power since 1985 would pay heed to this problem and chalk out plans to construct dams to tackle Indian water aggression but alas! Our rulers did not wake up and kept enjoying their corruption sucking blood out of the nation’s veins. Due to release of water by India without giving any warning standing crops and villages in Sindh and Punjab were inundated. If we look at the deaths in these floods they outnumber the total martyrdoms in 1965 & 1971 war. The aid given by district governments cannot compensate the flood affected people for what they have lost. 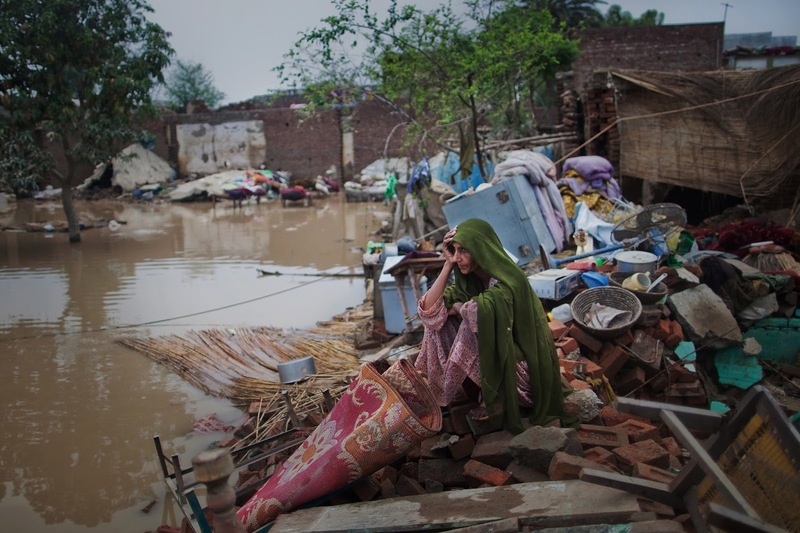 If we look at the destruction caused by monsoon rains and floods there are two aspects of them. In the KPK and Balochistan the destruction is caused by over surged rain rivulets or streams due to rains. In Punjab and Sindh the extra water released by India without any warning becomes a threat. In the country there are 350 rain rivulets out of which 200 are in Balochistan, 100 in KPK and 50 in Sindh and Punjab. First of all lets talk about rain rivulets for which each year not millions but billion of rupees are spent by the govt. collectively to clean them of any debris etc. accumulated which creates hurdle in the flow of water. As per reports 400 million rupees are fixed in the budget in order for the removal of debris, illegal constructions from rain rivulets only in Karachi; but nothing is spent on ground whole budget goes in the pockets of elite mafia. Not only this the spare parts of the heavy machinery provided to responsible departments, are sold out as a result the machinery becomes unusable. Newspapers are responsible to point out the destruction and the departments that were responsible to prepare in order to avoid possible loss but newspapers cannot stop rains. Just take the example of Nala Lai in Rawalpindi, 28 lives have been taken by the water after rains but rulers have failed to save public from the destruction of this rain rivulet because our elected leaders have no interest in the maintenance of this water stream or safeguarding the lives of the public but the commissions from Metro Bus Projects. Similar situation is in the Punjab and Sindh, somewhere flood banks / bands are being broken by the water, somewhere people are crying over their inundated crops, houses, lost cattle and even dear ones. What else people can do except crying over the destruction of their houses while rulers are busy in enjoying the power and busy in Mega Projects that will leave behind Mega Scandals of Corruption just like the past political governments. 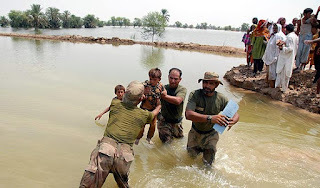 Only Pak-army responds to the flood affected people every year; their evacuation, provision of food and shelter and afterwards their rehabilitation all such works are started by the Pak-army without any order and funds issued by political governments as army know the routine and priorities of politicians. 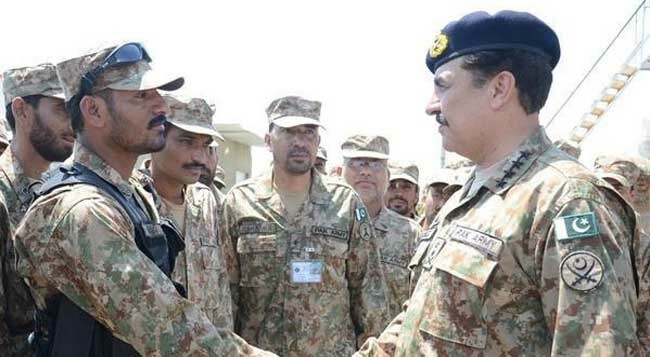 It is the duty of Pak-army to defend the Pakistani nation whether it is the naked aggression by the enemy, terrorists of the enemy or flood waters released by the enemy. From Chitral-Peshawar to Karachi we see only Pak-Army active fighting against the flood waters to save the property and lives of the public. But if army has to do all the relief work during any calamities especially floods than we have so many Ministries for this job? 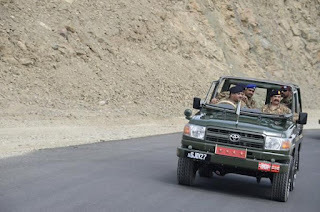 Our rulers were trying to take the credit of the Pak-China Economic Corridor since the signing ceremony between both the countries but nation was astonished when General Raheel Shareef revealed in his address on 25th July 2015, Panjgur and Turbat Baluchistan that FWO an engineering department of Pak-army has already constructed 502 kilometers road during last one and half year. In his address he said that Pak-army is well aware of the plans of the enemy against Pak-China Economic Corridor and it will be completed very soon at all costs. Our elected political leadership is happy and contented by sending the gift of mangoes to Modi and hoping that India will give up her enmity against Pakistan; if not against Pakistan at least Modi will not hurt their business interests in India. In fact our political leaders are very STEADFAST AND CONSISTENT which needs to be appreciated.